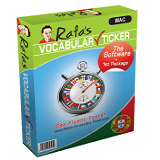 In this package you'll find the 598 most common words and expressions you use in Brazilian Portuguese when you speak about pretty much every thing. There are certain words and expressions that you repeat all the time when you speak in any language. These words are constantly used regardless the context or the situation. This package has a selection of those words and expressions you will be using every time you speak in Brazilian Portuguese. When you master these words and expressions, you will be able to recognise and use them every time you listen to and speak with any Brazilian. What are you waiting for? 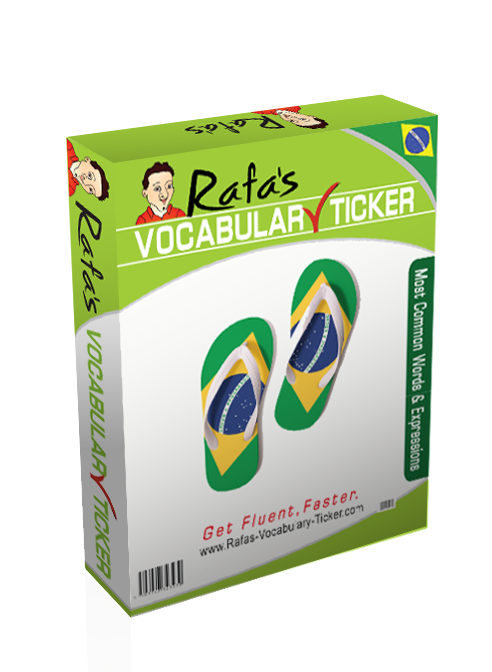 Download this package now and speak like a Brazilian! Please browse first the right Vocabulary Ticker for your Operating System. Learn with it and then load it with any of the packages available. A Quick Note: Please consult our FAQs for further info and troubleshooting and to learn more about what countries this language tool is available for. Speak to me I would love to hear what you have to say! Accepted Cards Payment is much easier now! 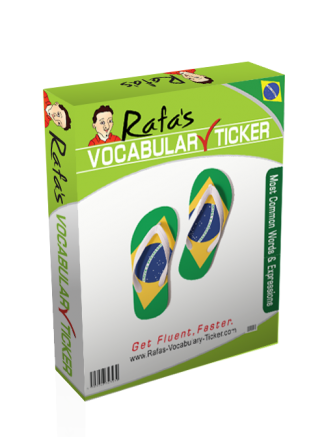 © 2019 Rafa's Vocabulary Ticker | Get Fluent Faster. All Rights Reserved.